14k Yellow Gold Pendant (18 in) | Shane Co. This shimmering 14 karat yellow gold setting will highlight the center stone of your choice beautifully. 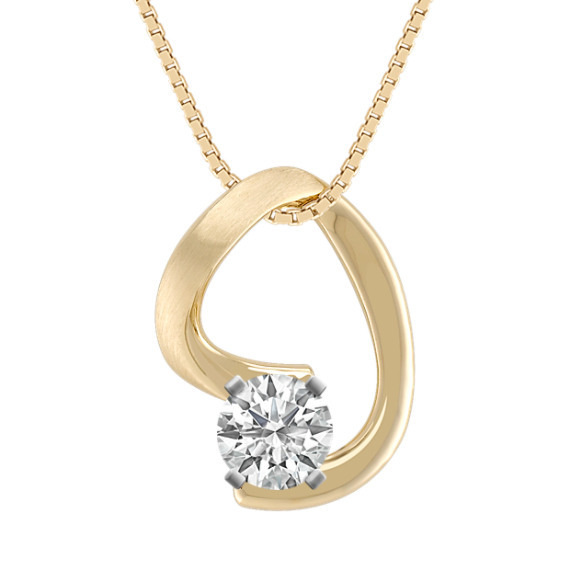 The pendant hangs from an 18-inch, 14 karat yellow gold box chain.